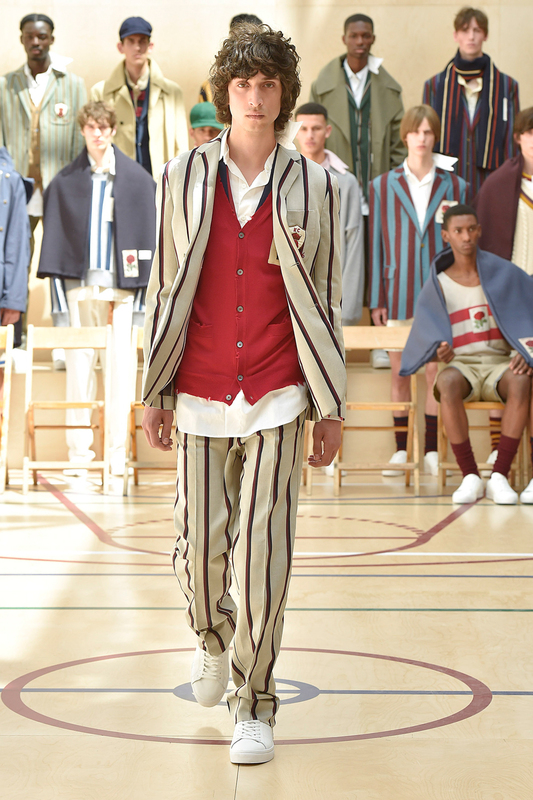 Borne through a collaboration with David Beckham and Daniel Kearns, Kent & Curwen exuded a sense of prestige akin to that of a top boarding school, melding elements of class with a contemporary sports style. 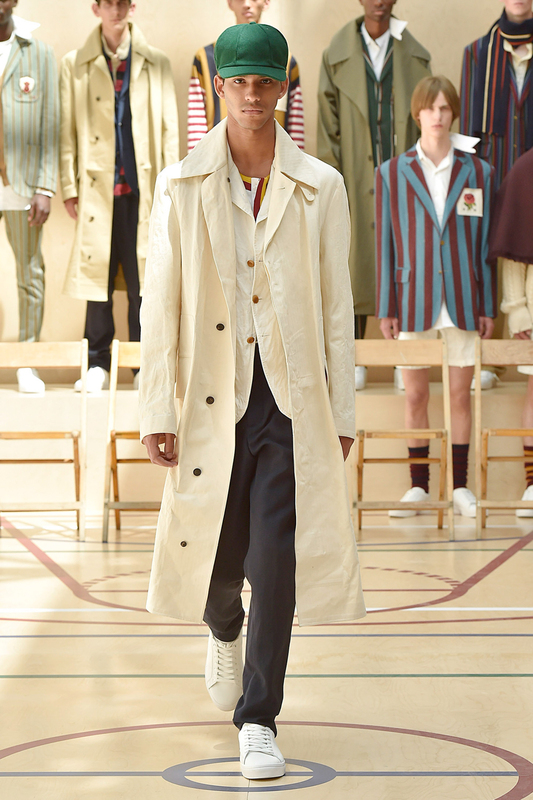 Dressed in trench coats, striped blazers, cable knit cricket jumpers and jackets, and featuring in deep reds, creams, olives and navy blues, a number of facets in relation to sports could be remarked upon. 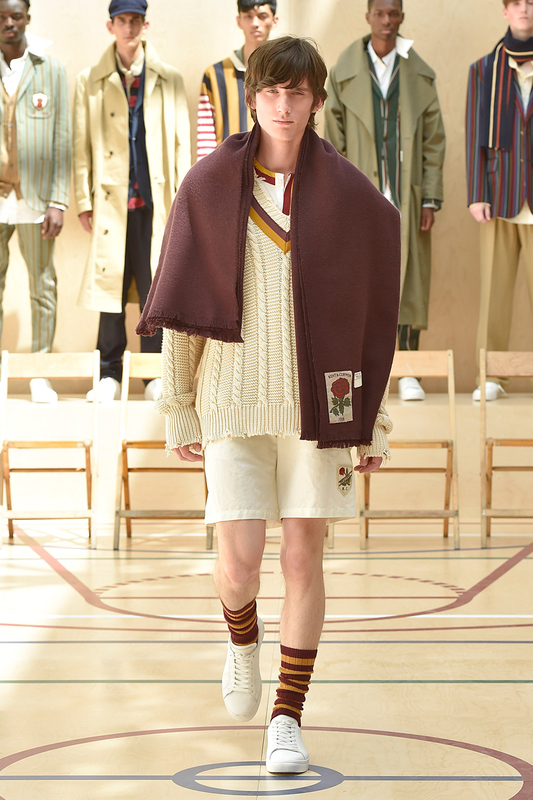 Embellished with stitched rose motifs, Kent & Curwen appeared to re-appropriate the bold rugby symbol with a touch of elegance, and the hints of soft cream tones that presented their self in v neck jumpers, blazers, and trousers, appeared reminiscent of a cricket style. 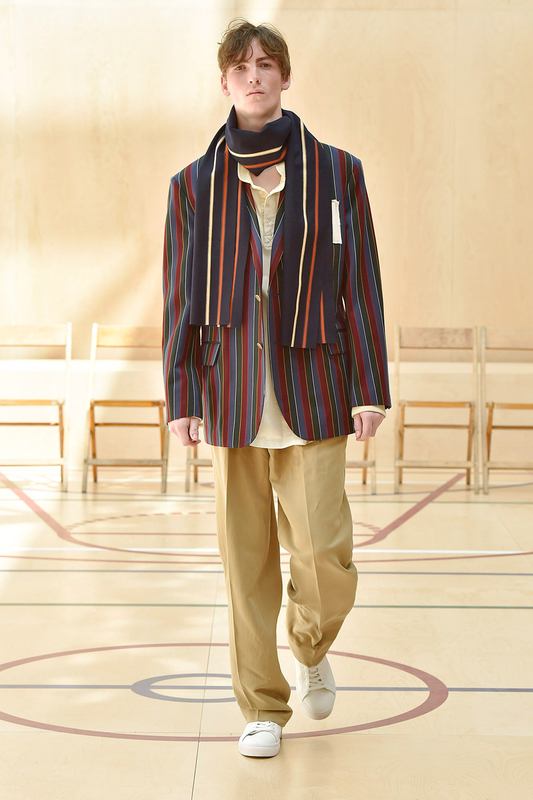 Standout among the collection was a long-sleeved shirt comprising of panelled stripes in an array of colours. 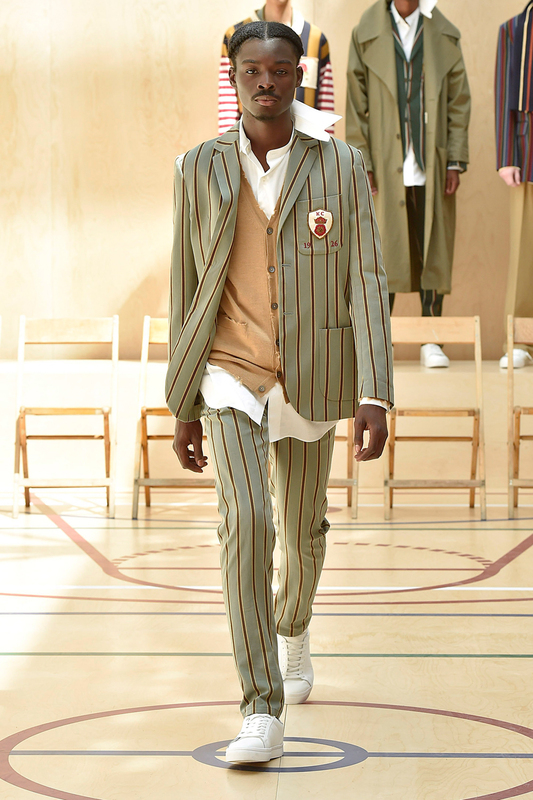 A nod to rugby attire, the shirt successfully alluded to sporting roots whilst creating a fashionable, wearable garment. In a sea of deep reds, greens, silvers, baby blues, whites and blacks, Topshop SS18 proposed a ready-to-wear collection that created a whole new meaning for smart-casual. In a pastel laden colour palette, Emporio Armani SS18 exhibited a number of classic garments that exuded elegance, intertwined with a sense of fun and contemporaneity that rendered the outfits with a number of focal points.